Home prices are showing signs of life, but they have a long way to go to make up for losses from the housing bust. 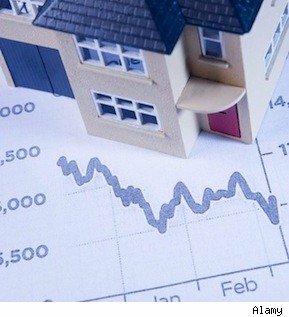 U.S. home prices dropped by a third from the start of 2007 to the start of 2012, according to Fiserv, an analytics firm. Fiserv forecasts prices will bounce back an average of 3.7 percent a year for the next five years — a rate that would still leave prices 20 percent below the peak. At that forecasted growth rate, the national average high of $238,000 would not be hit again until 2023. It could take even longer in some areas. “In some hard-hit markets, prices could take decades to recover,” said Fiserv economist David Stiff. Among those facing a long haul: Arizona, California, Florida and Nevada, the states most caught up in the speculative feeding frenzy of the mid-2000s. In California, for example, home prices should grow a little faster than the national average. Fiserv projects 4.4 percent gains during the next five years. But the hole is also deeper, with prices having fallen nearly 46 percent from early 2007 to early 2012. Break even won’t come until after 2026. Homeowners in Nevada may have to wait the longest to make up lost ground. Home prices in the state plunged nearly 60 percent, and Fiserv projects annual gains of just 2.3 percent. It would take some 40 years at that pace to get back to 2007 levels. Real estate, of course, is local, and there are many housing markets that never bubbled during the boom. In those places, buyers who bought in 2007 are much more likely to be in the money today. In South Dakota, Texas and West Virginia, prices already are slightly higher than they were five years ago. In North Dakota, a housing shortage driven by the oil boom has sent prices soaring 17.7 percent over the past five years. Iowa, Oklahoma and Nebraska, are nearly back to peak, as are Kentucky, Vermont and Alaska. These were all housing markets that recorded only mild price increases during the boom.